The MolCyt.com site has this homepage linking to topics, molcyt.org blogs, our Department at the University of Leicester and Chinese Academy of Sciences, and a contact page. www.MolCyt.org is used for content management and you can subcribe to e-mail updates there. The previous MolCyt pages remain available as not all information is in the new site. Our work on the dynamics of meiosis (2017) is published here. We have studied the chloroplast genomes in apomictic Taraxacum (dandelions), and the retoelement landscape in banana. Another 2017 publication considers the role of polyploidy or whole genome duplication in ecology and evolution. Diversity, Molecular Cytogenetics and Genomics of enset. 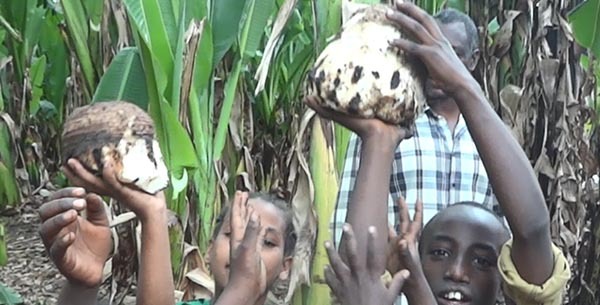 Our work is focussed on delivering sustainability and food security from agriculture. We research crop plants and farm animals, studying their evolution and organization at the DNA to genome levels: large-scale processes with chromosomes, polyploidy and DNA sequence. Microscopy, image processing, bioinformatics, in situ hybridization, molecular (epi)genetics and systems biology lets us explore and exploit fundamental processes. We study environmental outcomes of agriculture, assessing risks and consequences, including economic and social impacts. We use our knowledge to breed crops with better genetics giving impact with increased sustainability, reliability and food security. The group includes PIs, postdoctoral, PhD & project researchers, sabbatical visitors and a part time technician. 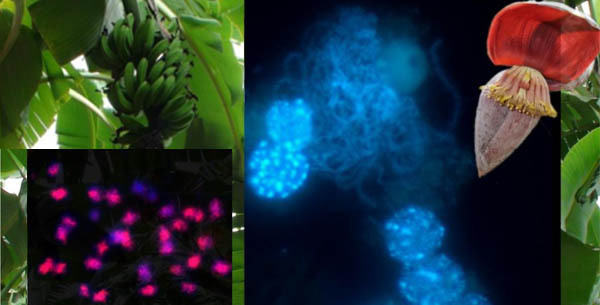 Our lab is involved in reviewing and editing many journals, including Annals of Botany, Genome, Plant Reproduction and Theoretical and Applied Genetics. We also advise and review national (including REF sub-panel) and international laboratories and programmes. We give undergraduate and advanced courses in Leicester and internationally. Pat Heslop-Harrison is a Professor in University of Leicester (80%) and PI in the South China Botanical Garden, Chinese Academy of Sciences. We have an active publication programme. Titles of recent publications are listed here, or available from Pubmed. 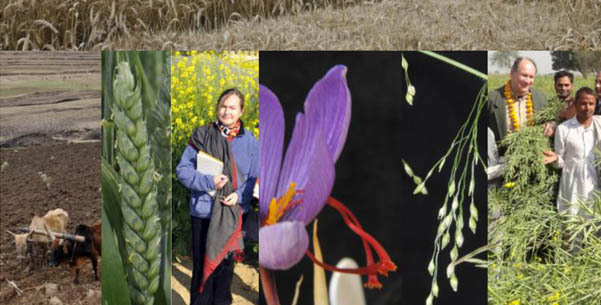 www.MolCyt.org contains abstracts and links from 2012 while publications from earlier are here (including at the John Innes Centre JIC, Norwich and Plant Breeding Institute PBI, Cambridge). Information about talks, interviews and other outputs is here. www.molcyt.org/about for non-© / privacy information. Design and CSS based on Free Website Templates, coded by Free CSS Templates. Molcyt.org RSS feeds .